Vancouver, B.C. - Saville Resources Inc. (TSXv: SRE, FSE: S0J) (the “Company” or “Saville”) is pleased to report that field crews have now mobilized to carry-out the Company’s inaugural exploration at its Niobium Claim Group Property (the “Property”). The Property is situated within the central Labrador Trough, approximately 130 km south of Kuujjuaq, Quebec, and covers several prospective niobium-tantalum targets, including the Northwest, Miranna, Southeast, and Star Trench areas. The primary objective of the field program is to further delineate drill hole locations ahead of drilling. The work is being completed by Dahrouge Geological Consulting Ltd. and will be comprised of two primary components; a ground magnetic survey, and targeted prospecting. The ground magnetic survey will cover a significant portion of the eastern half of the Property, including the Miranna and Southeast areas. In the Southeast Area, much of the niobium-tantalum mineralization is associated with magnetite, and therefore, a properly spaced ground magnetic survey may offer a cost-effective method of delineating further this horizon by providing additional information on its extent and orientation. The prospecting component will focus on several prospective areas not traversed historically, as well as ground follow-up in the immediate area of the most well-mineralized drill hole intercepts and their interpreted projection to surface. This includes drill hole EC10-033 where 0.72% Nb2O5 over 21.4 m was intersected started from 4.2 m depth (immediately beneath overburden) as well as 0.82% Nb2O5 over 21.9 m starting from 58.9 m depth. Both intersections are shallow and indicate that strong mineralization extends to surface in the immediate area. In terms of ground follow-up, there is a sizable corridor to the south of EC10-033 that has not been traversed, and is therefore, a high-priority area for assessment. The surface exploration is anticipated to take approximately two-weeks to complete, with the field data to be incorporated into an ongoing geological model update of the Southeast Area. The drill hole model of the Southeast Area has not been modified since 2010; however, the geological understanding of the Eldor Complex and its rock types has improved significantly since this time. As such, the model will include a partial photo re-log of the core, applying a revised rock classification scheme, as well incorporate other geophysical and surface data. The work will culminate into a revised geological model of the Southeast Area which will permit final drill hole targetting and further the understanding of the orientation and trend of the known mineralized horizon(s). The Company’s principal asset is the Niobium Claim Group Property, currently under Earn-In Agreement from Commerce Resources Corp. for up to a 75% interest. The Property consists of 26 contiguous mineral claims, encompassing an area of approximately 1,223 hectares, and is considered highly prospective for niobium and tantalum. The Property includes portions of the high-priority, and drill ready, Miranna Target where prior boulder sampling in the area has returned 5.9% Nb2O5 and 1,220 ppm Ta2O5, as well as the Northwest and Southeast areas where previous drilling has returned wide intercepts of mineralization, including 0.61% Nb2O5 over 12.0 m (EC08-008) and 0.82% Nb2O5 over 21.9 m (EC10-033), respectively. 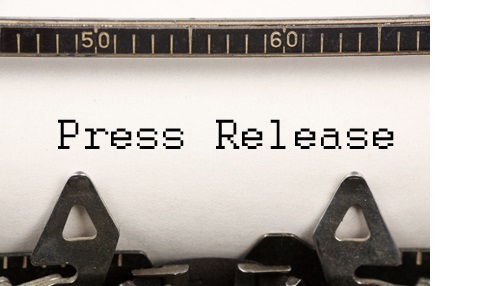 This news release contains forward-looking information which is subject to a variety of risks and uncertainties and other factors that could cause actual events or results to differ from those projected in the forward-looking statements. Forward looking statements in this press release include that the work completed will include two primary components; a ground magnetic survey and targeted prospecting, and that the program is expected to take two weeks. These forward-looking statements are subject to a variety of risks and uncertainties and other factors that could cause actual events or results to differ materially from those projected in the forward-looking information. Risks that could change or prevent these statements from coming to fruition include changing costs for mining and processing; increased capital costs; the timing and content of upcoming work programs; geological interpretations based on drilling that may change with more detailed information; potential process methods and mineral recoveries assumption based on limited test work and by comparison to what are considered analogous deposits that with further test work may not be comparable; the availability of labour, equipment and markets for the products produced; and despite the current expected viability of the project, conditions changing such that the minerals on our property cannot be economically mined, or that the required permits to build and operate the envisaged mine can be obtained. The forward-looking information contained herein is given as of the date hereof and the Company assumes no responsibility to update or revise such information to reflect new events or circumstances, except as required by law.